Since 1981, the internationally acclaimed luxury accessories and outfit designer Michel Kors is running the company named after himself. “Michael Kors” has become a brand name associated with expensive and stylish products highly demanded by people who like to use luxury accessories. 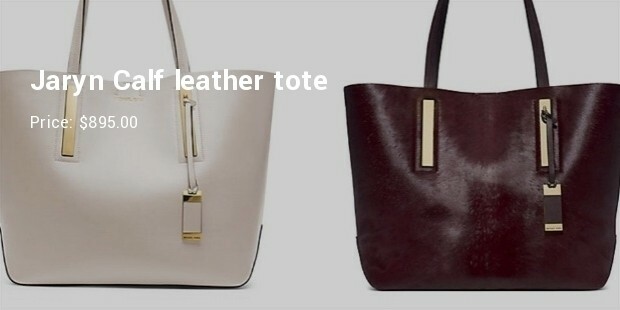 Lavish “Michael Kors” bags have already won international attention for their design, material and usefulness. Fashionable men and women who never bother to go extravagance while buying branded bags never forget collect expensive Kors bags. There are plenty of designs available to choose and even today the very owner of the brand supervises each and every design marketed by “Michael Kors”. 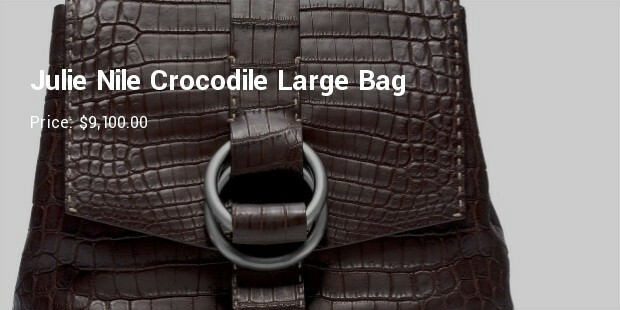 One of the most expensive ranges of hand bags is Julie Nile Crocodile leathered bag. There is a well knitted silk lining inside to give protection to the inside layer and articles inside. Plenty of pockets to accommodate different articles also make it a useful one. 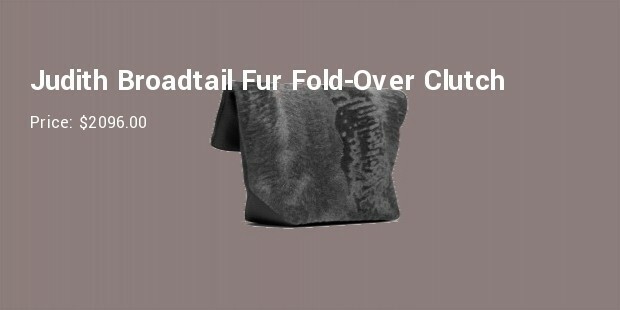 This stylish and expensive bag has always remained a favorite item among luxurious bag collectors. 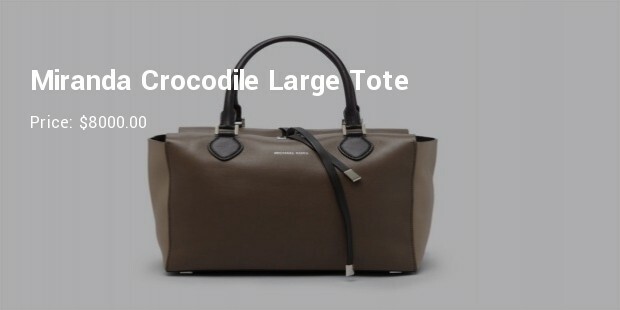 It’s a bit bigger in size than normal handbags, hence very suitable for long travel. The Miranda bags are purely made with the Nile crocodile leather. 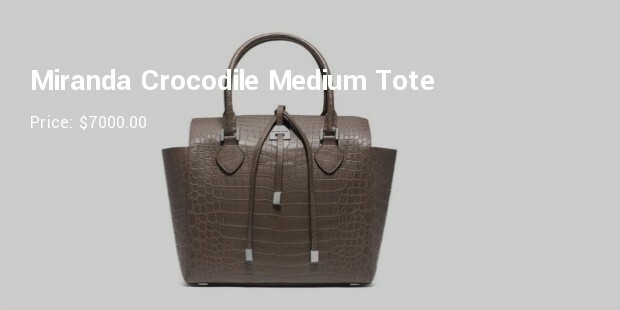 Made purely with the leather of Nile crocodile, the Miranda Medium Tote range is a classy item for luxury item buyers. It’s always a good collection for people who can afford it and at the same time very handy too. 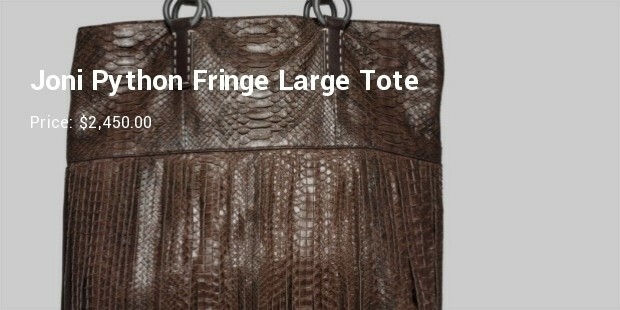 This gorgeous looking Michel Kors bag is made of python skin. A bit differently designed by Michel Kors, carrier this stunning bag always gets attention from people due to its elegant look and fabulous design. 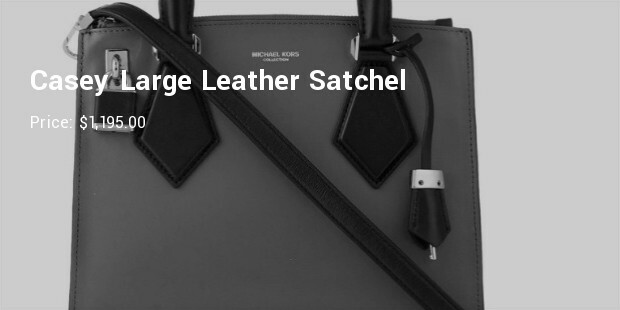 Michel Kors bags are synonymous to luxury, style and confidence. 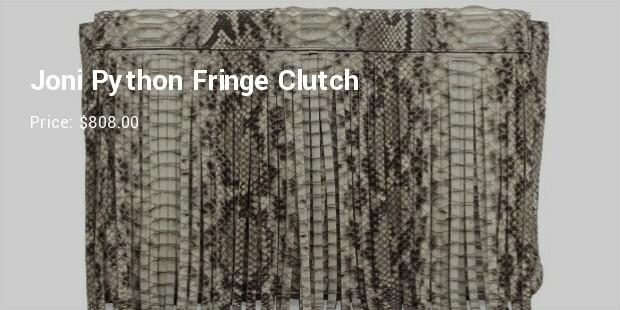 This expensive range is not only good collections but very handy and durable too. 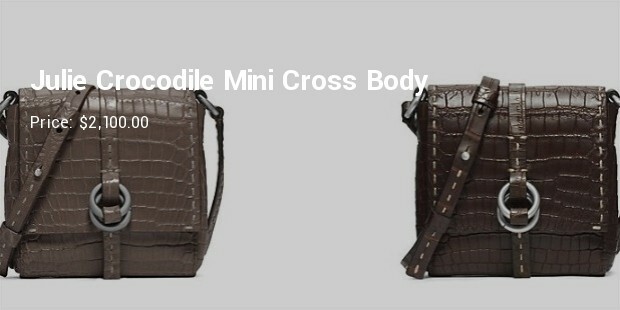 These designer bags carry with them the style symbol for which they are always reckoned.